Below is a list of websites from 2014 and previous years that are the most popular. I am going to try and make an effort to make similar posts in the future, for 2015, 2016, etc - but only listing the popular posts from those years. This post, being the first of its kind lists both 2014 posts and those years prior. They are listed in order, starting with the Most Popular. 25 Examples of Off the Grid Homes + Green Architecture - 2013. How to find off the grid homes - 2012. 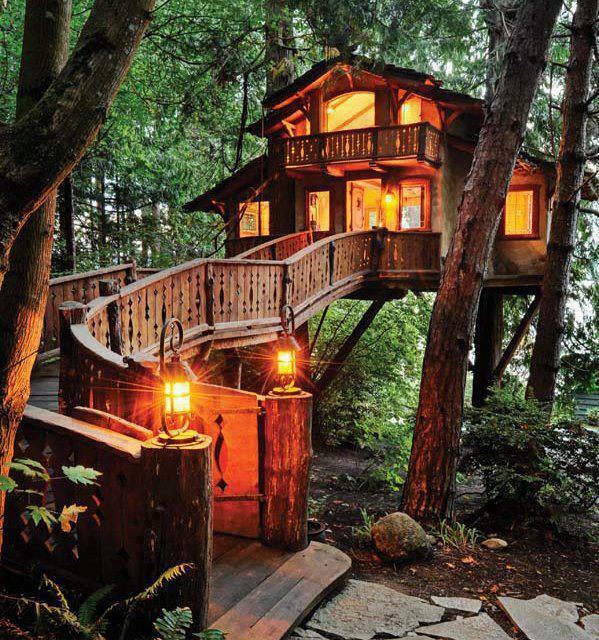 The Treehouse Idea - 2011. How to Buy, Design and Build your own Shipping Container Home - 2014. PVC Longbows and Double Limbed Bow - 2013. 8 Real Estate Websites that Specialize in Off The Grid Homes - 2014. How to make your own Bowfishing Reel - 2014. Making a Homemade Crossbow - 2014. 100th Post of Project Gridless - 2014. Tillering and Staining my New Longbow - 2014. As you can see by the order of popularity and the topics, the real estate topics relating to Green Homes, Sustainable Architecture, how to make your off grid home, etc, are the most popular posts. Coming in a close 2nd is posts about archery, bow making, bowfishing, etc. One post which was surprisingly popular is the 100th Post of Project Gridless. I guess because it is an overview of previous posts, similar to this one.